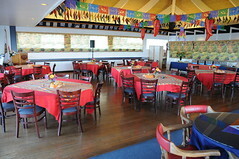 Whether your social event is a wedding, birthday party, family reunion, bridal or baby shower, company party, memorial service, business or professional gathering, fashion or art show, Coyote Point Yacht Club can provide an event space that will lend itself to a perfect event. In our opinion, Coyote Point Yacht Club as an event venue is one of the Peninsula’s best kept secrets. It’s not just the pricing; it’s the location, building and of course the picturesque views of the Bay and the yachts nestled comfortably in the harbor. We have two areas available: an upstairs, formal dining area, and a downstairs, informal room. The downstairs room is perfect for smaller, more casual events, such as kid’s birthday parties, or baby showers, whereas the upstairs is more suitable for larger gatherings such as weddings, quinceaneras, or memorials. Both areas feature WiFi access, and access to a large, hotel-style ice machine. 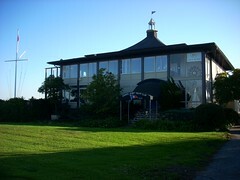 Rental of the facility is subject to availability on certain dates, with scheduled yacht club events taking priority. Please note that smoking is not permitted indoors per city ordinances. I was wondering if your club was available to rent out on June 13, 2015? If so how much would it be for a guest of 60? Hello, I was wondering if your club was available October 27, 2018. If so please get back to me.